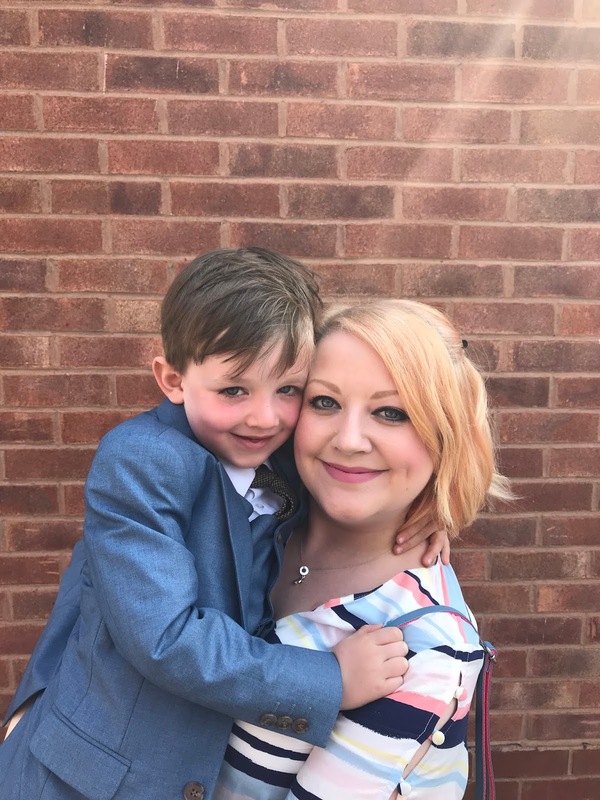 This suit combines the traditional Paisley of London chambray Sampson style with the latest waistcoat from their Heritage collection, and it is a really striking contrast of materials and tones. 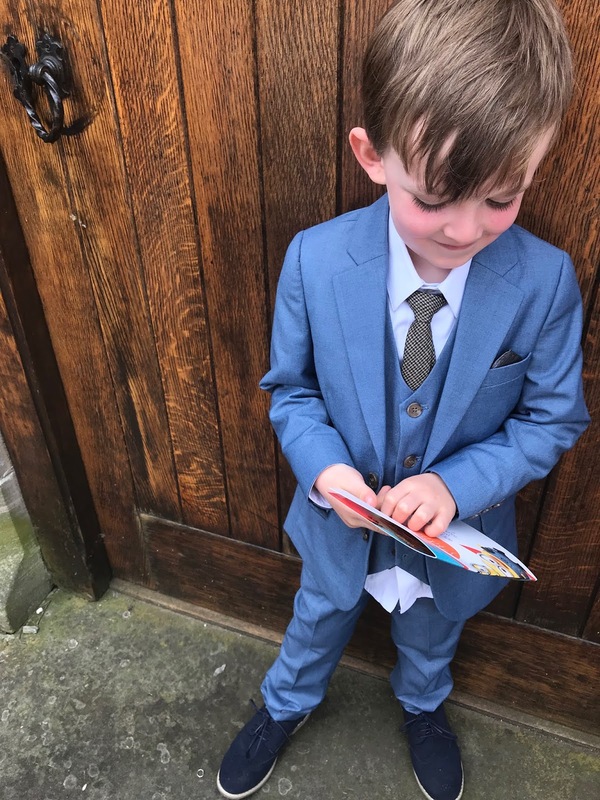 Roco says that the Sampson suit is an investment piece and I agree - it really is the most beautiful shade of blue, perfect for my blue eyed boy, and the slim fit and adjustable waist are perfect too as Ethan has long, lean legs and no hips! 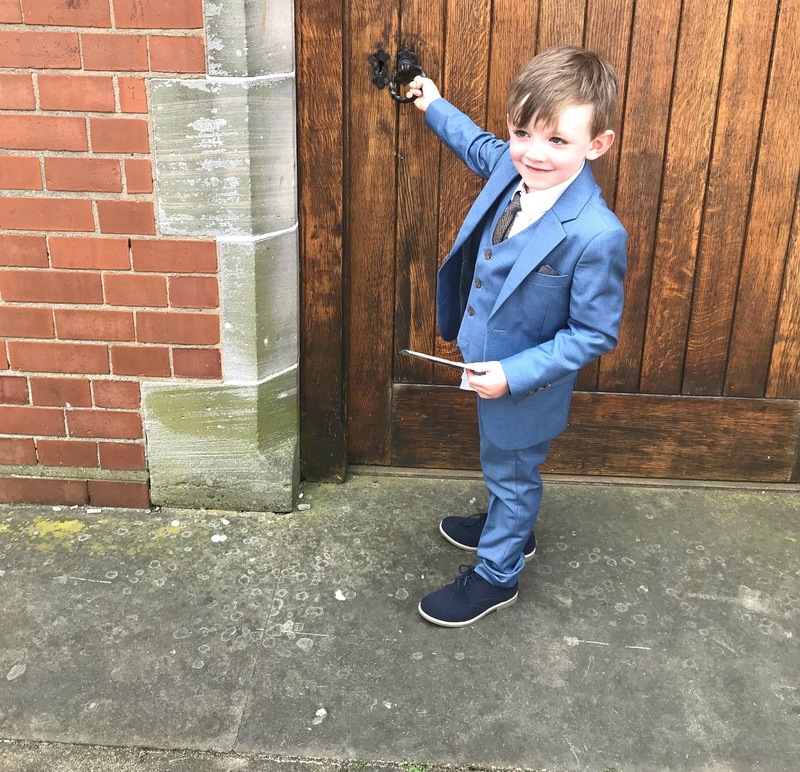 The Alec waistcoat adds a traditional hint with its brown shade (see previous link to see what this looks like - Ethan is wearing the matching blue waistcoat here, but with the Alec brown tie) and would work well in autumn and winter too, so I know we will get a lot of use out of this. 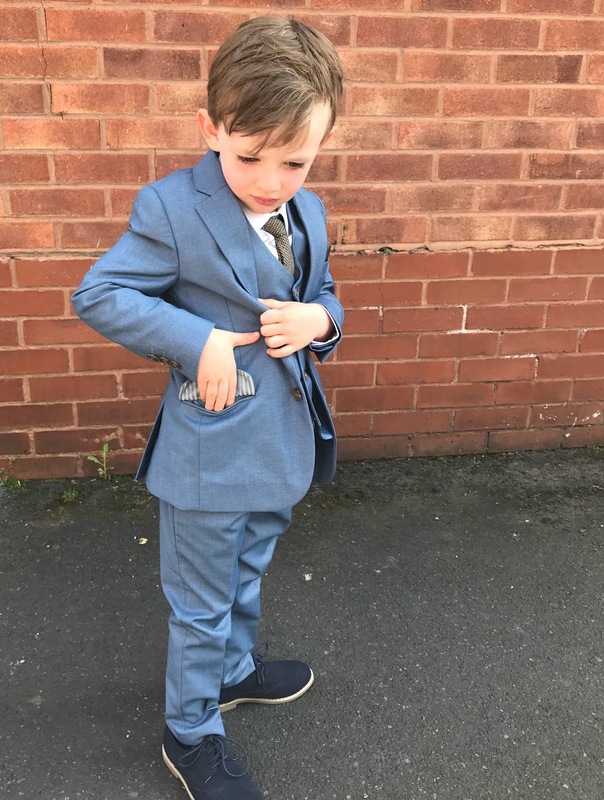 Roco Clothing really offer a high quality range of formal clothes for babies, boys and girls. 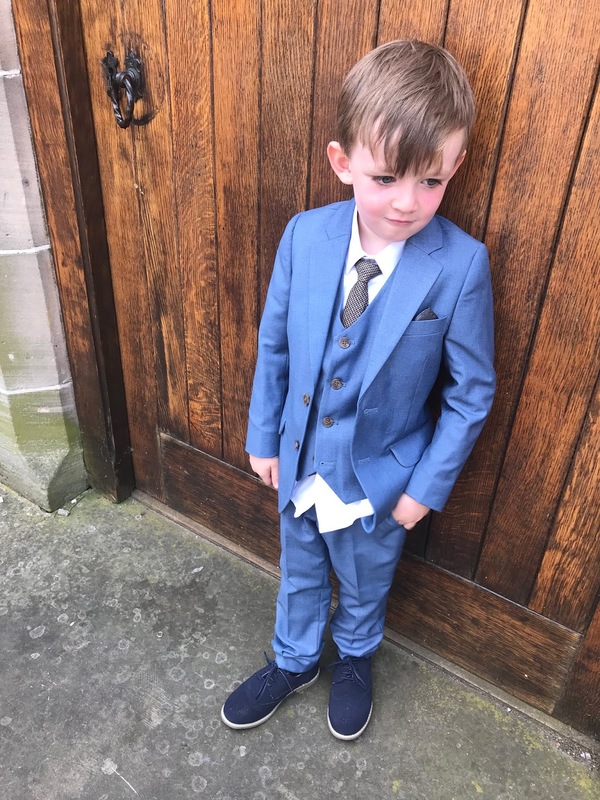 The materials used and the finish of each item cannot be faulted, there is a great choice to be had - all the way to finishing accessories such as belts and shoes - and we absolutely love the clothes Ethan has from them. Importantly, he does too - and he loves showing off his new jacket, pockets and tie - I think he feels super grown up! 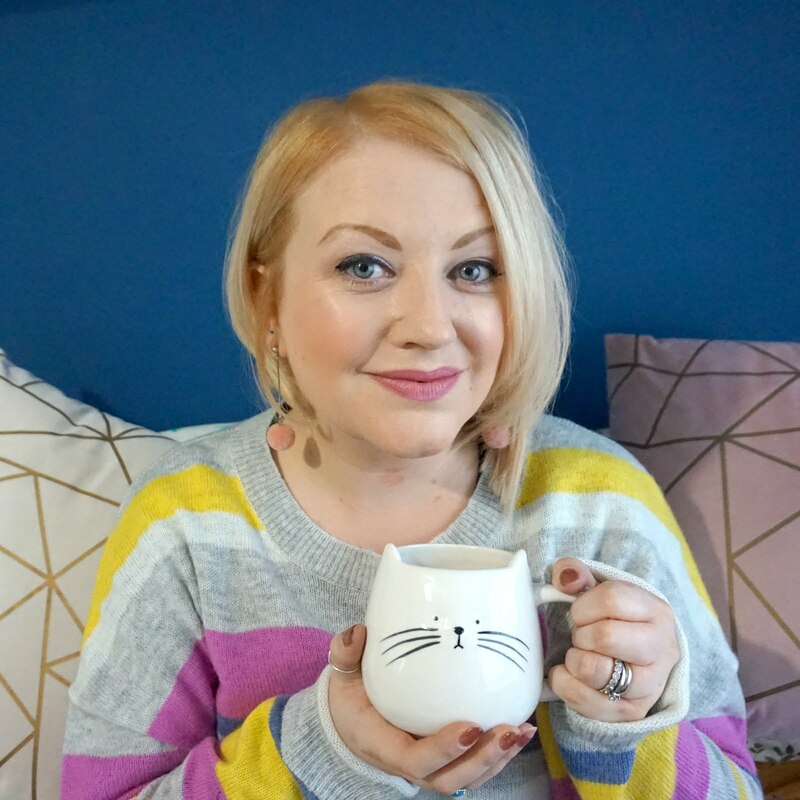 * We were sent the items featured for purposes of review - but all opinions, and cheeky smiles, remain our own.